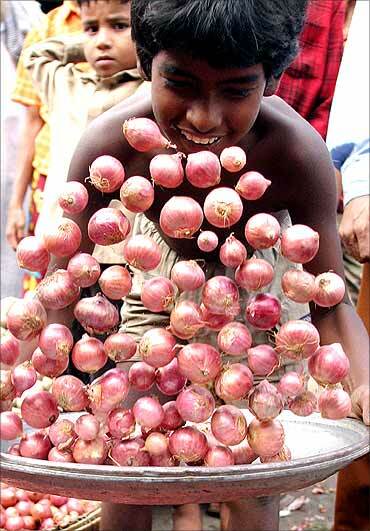 Rediff.com » Business » Onions may not be a good investment in 2011, if . . . 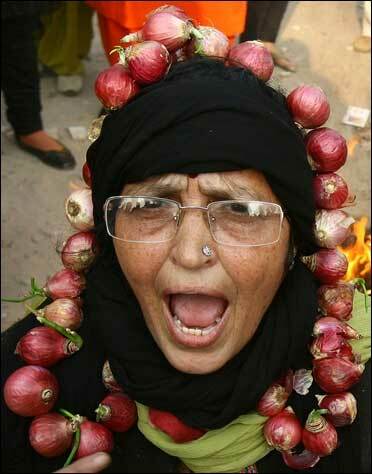 Onions may not be a good investment in 2011, if . . .
'Biggest reforms are not the ones that make the headlines, but the one's concerned with the details of governance, which affect the everyday life of the aam aadmi.' -- Pranab Mukherjee, Budget Speech, February 28, 2011. All of us can heave a sigh that the government has taken a very important view on controlling prices and improving the agriculture sector. 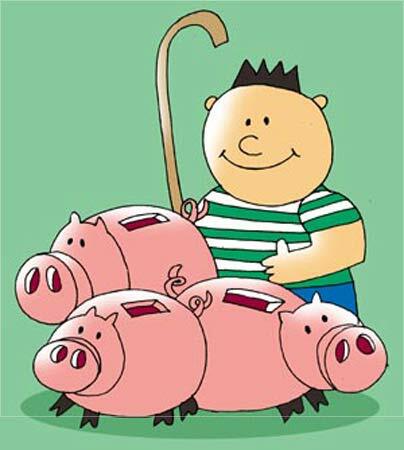 If there is a winner from this budget it is the farmer and all the people involved in the food industry. This in turn means that you, I and all our neighbuors will be benefited and can at least look forward to eating more onions and vegetables rather than staring at one onion per family as we did last year. The finance minister started his Budget Speech on Monday clearly outlining the government's eagerness to rectify the price situation vis-a-vis food items. He said, "Our principal concern this year has been the continued high food prices. Inflation surfaced in two distinct episodes. At the beginning of the year, food inflation was high for some cereals, sugar and pulses. Towards the second half, while prices of these items moderated and even recorded negative rates of inflation, there was spurt in prices of onion, milk, poultry and some vegetables." How this budget will help get vegetable and food prices down? Nutrient based subsidy: The government is considering extending the NBS regime to cover Urea too. Urea is one of the most important fertilizer component in farming and any subsidy will help the common farmer to improve his efficiencies. Direct Transfer of cash subsidy for fertilisers will be a big boon for the farmers as this would reduce the government's subsidy outflow. 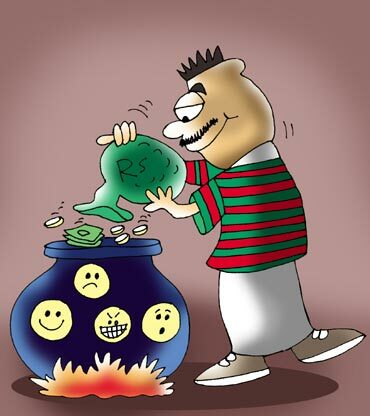 The saved amount can be redeployed for further development. Increase in allocation for rural infrastructure fund by Rs 2000 crore will focus on creation of warehousing facilities. This will help reduction in wastage of vegetables and food grains due to lack of good storage resulting in more product reaching the market from the farm rather than most product reaching the dump yard as of now in our country. Bottleneck removal: Allocation of Rs 7860 crore (Rs 78.60 billion) under Rashtriya Krishi Vikas Yojana to help in reduction of distribution and production bottlenecks will mean more efficient delivery of produce at lower cost to the farmer. Prices should surely cool down! Rice production to go up: the government has allocated Rs 400 crore (Rs 4 billion) towards improving the Rice based cropping system in the eastern parts of the nation including West Bengal, Assam and Bihar. This can help reduce the prices of rice which is consumed as a staple diet in almost the entire eastern and southern regions of this nation. The government is looking at providing 300 crore (Rs 3 billion) to bring more area under palm oil cultivation. Vegetable clusters: Reacting to the mayhem in vegetable markets in the past ten months the FM has mooted that Rs 300 crore (Rs 3 billion) will be provided for implementation of a vegetable initiative. This will help in improving the supply chain and help bring quality vegetables at competitive prices to our kitchen. The government wants to not only improve agriculture but it was to improve balanced nutrition too. Rs 300 crore (Rs 3 billion) has been allocated towards promoting higher production of Bajra, Ragi, Jowar and other millets. This will not only increase production of these millets but also increase feed and fodder for livestock. Healthier livestock = better meat too. 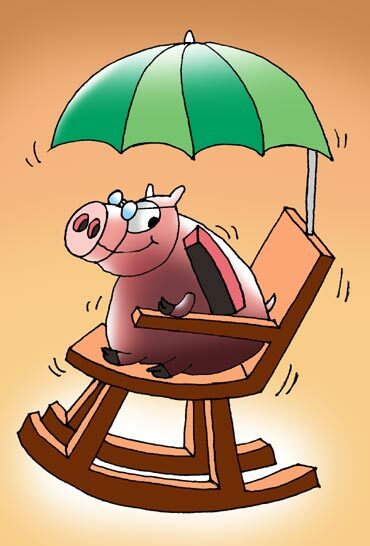 Non-vegetarians cheer up too: Rs 300 crore (Rs 3 billion) has been allocated toward development of livestock, diary, piggeries, goat rearing and fisheries. This could make your eggs and meat cheaper in the long term. Mega food parks: An estimated 40 per cent of the fruit and vegetable produce in India is wasted due to lack of storage, cold chain and inefficient transport. To solve this problem the government has planned for 15 more mega food parks to be set up in the coming year apart from the 30 that were sanctioned last year. This will improve the retailing scenario and not only reduce prices of fruits and vegetables but also get more quality product to the market. All the above measures and the efforts to improve agriculture credit will combine together to help reduce food inflation and increase food security for our nation in the long run. Jai Pranab! Jai Kisan! 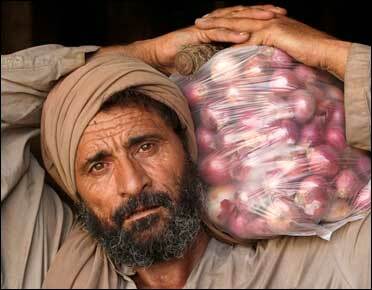 Oops, no, onions don't look tempting enough to be part of our investment portfolio for this year! Nor drumsticks! BankBazaar.com is an online marketplace where you can instantly get loan rate quotes, compare and apply online for your personal loan, home loan and credit card needs from India's leading banks and NBFCs. Copyright 2019 www.BankBazaar.com. All rights reserved.